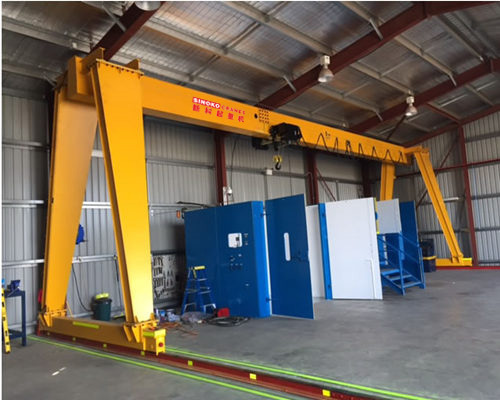 5T Rail Gantry Crane Sinoko Manfactured with the following characters of light self-weight, small space occupy, low cost of running and high performence, etc. 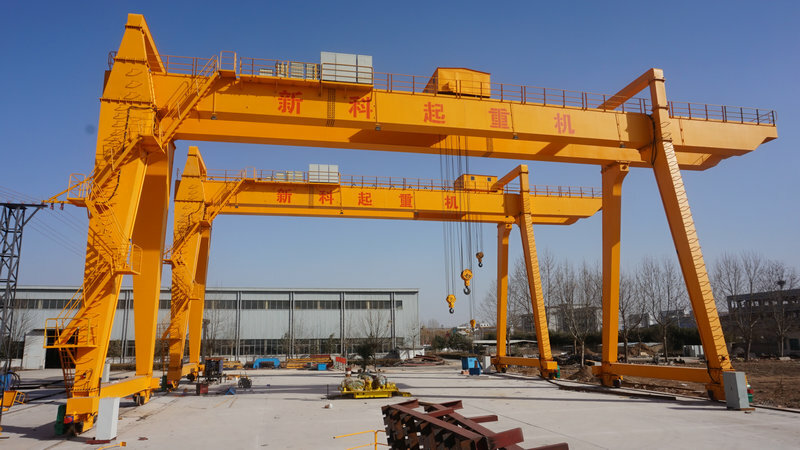 Sinokcrans based on saving our customer invest cost and increasing work effieciency, we focus on crane technoloy and development, so sinoko cranes is your best partner. 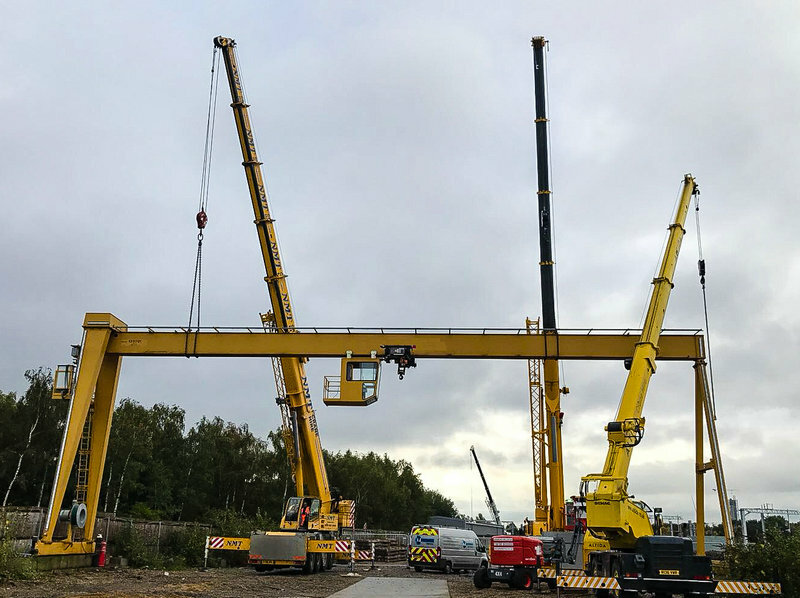 European 5T Rail Gantry Crane are mainly consists of girder frame, crane travelling device, hoist as the lifting device and electrical parts, bridge adopts box welded structure, high degree of vertical and horizontal rigidity. It has a strong beam and a stable travelling mechanism. 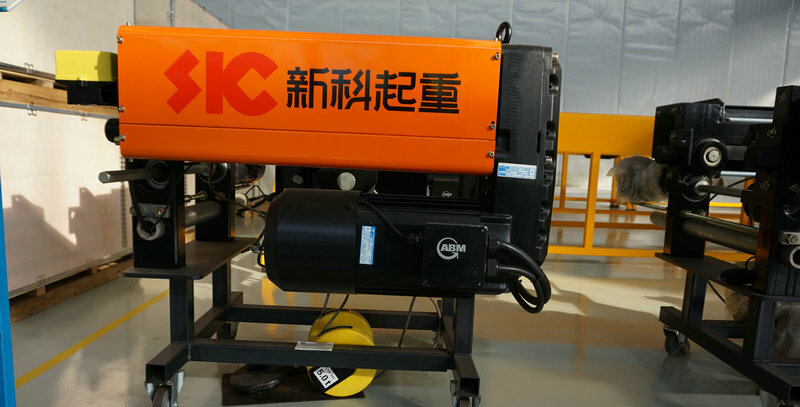 It is rely on the bridge frame along the workshop rail direction moves forward-backward, the hoisting mechanism can be hoist type or winch type according to the lifting capacity and working demand. The trolley along the main beam direction moves left-right and the hook lift up-down. The main electric elements adopts the international brands include Schneider, Siemens, ABB. 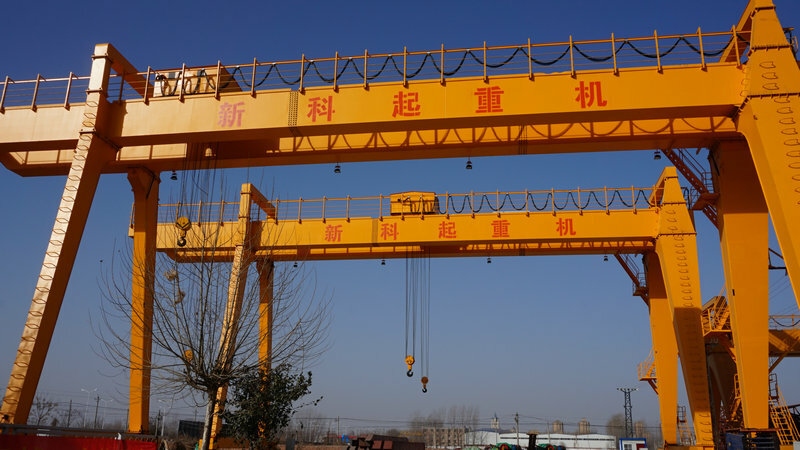 European 5T Rail Gantry Crane is the most popular & common crane which is widely used in workshop, warehouse, etc. 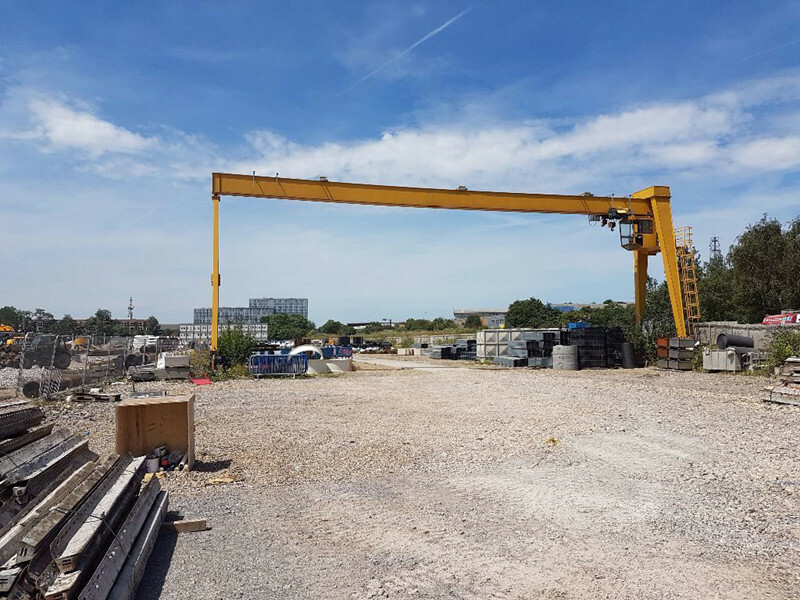 The European 5T Rail Gantry Crane is designed according to DIN/FEM standard with stepless lifting speed and cross travelling speed and long travelling speed. 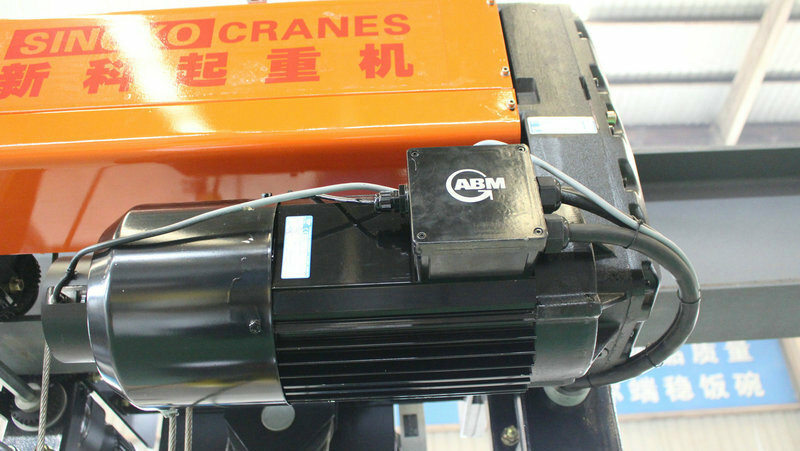 The crane self height is 20%-25% lower than normal overhead crane, the self weight can be 20%-30% lighter, the wheel press can be 15%-20% smaller, the hook limit will be smaller so the working space will bigger. 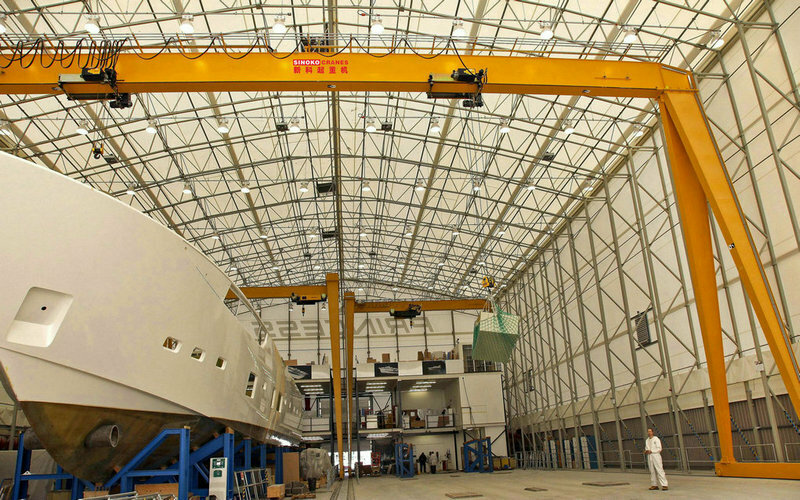 Moreover, the light crane structure can reduce the workshop cost and protect your workshop. All the modular components all can assembly and disassembly for good transportation. Standard modular components can be manufactured with short producing time and steady quality. So that we can short the delivery time. 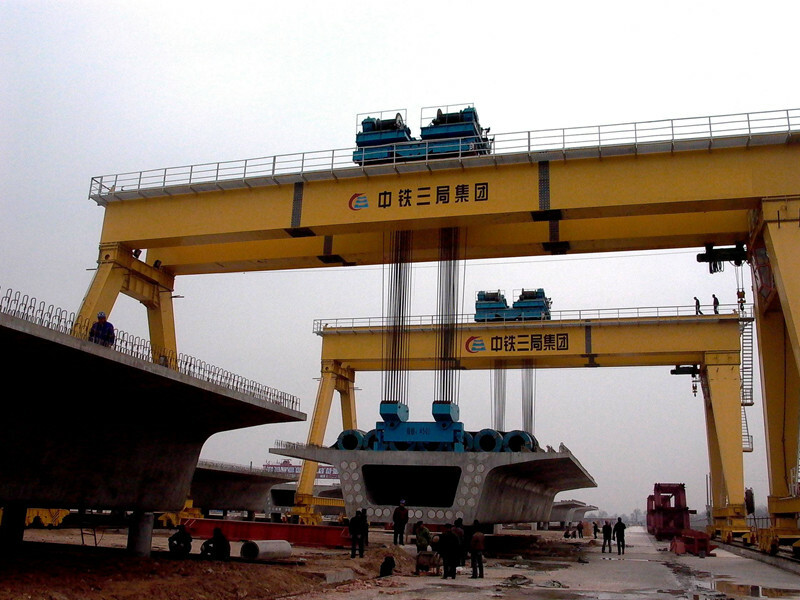 What’s more, modular design rail gantry crane can will be much easier for maintenance. 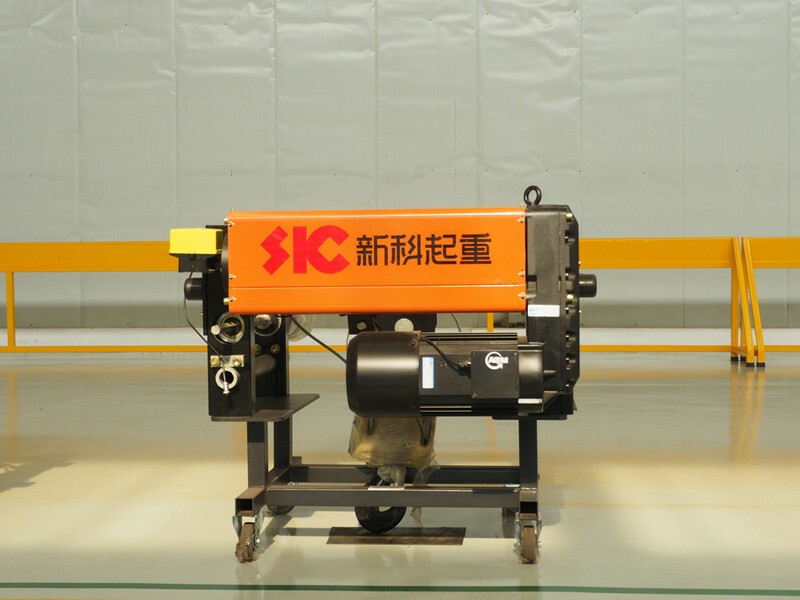 Sinoko Crane is an innovative designer and professional supplier of Euro-style overhead & gantry cranes, Euro-style hoist, Euro-style crane kits, which are certified by ISO9001: 2008, CE, etc. Our eternal pursuit is to offer you quality products with most reasonable prices. Our ideal aim is to establish a "Win-Win Lasting" cooperation with you. Our mission is to bring commitment and innovation to our customers in an effort to continually exceed their expectations for service, quality and value for money. We strive to build and maintain strong relationships with our staff, customers and communities, based on integrity and respect. 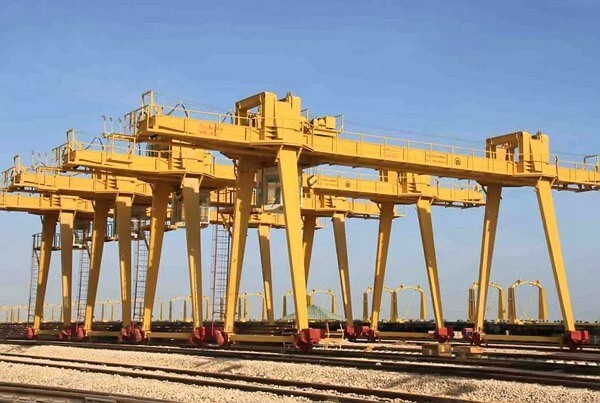 If you want to know more about 5T rail gantry crane, kindly send us email.